When Pivot Point was presented with a challenging fastening application for hospital beds, our inventive engineers got to work! 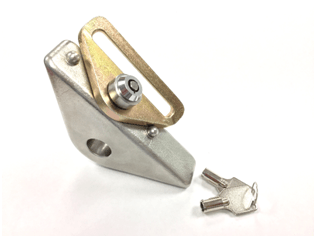 The manufacturer needed a secure but convenient fastening system to quickly attach and remove restraints for hospital beds. We consulted closely with the manufacturer to come up with the perfect solution. Ball-Lock Pins serve this role perfectly- they are positive locking, but also easy to remove by simply pushing the button to release the locking balls and remove the pin. However, the pin also needed to be tamper-proof, low profile, robust, and without sharp edges or protrusions to avoid accidental injury. Standard Ball-Lock Pins did not quite fit these additional requirements. Our engineers had a number of possible ideas. After several rounds of prototyping and customer testing, we arrived at the perfect configuration. 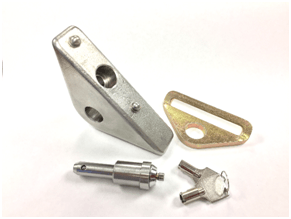 Pivot Point engineers devised a custom Ball Lock pin featuring a key-locking function as well as a rounded, low-profile head. The key-locking mechanism locks the push-button actuator down so that it cannot be disengaged accidentally, nor disengaged without the key. Normally, ball-lock pins release when the button is pushed. This solution works in the reverse, where depressing and locking the button locks the balls and pin into place. These features, combined with the low profile, specially shaped head means that the restraints, clothing or other materials won’t get snagged nor wrapped around the pin. The first orders were produced, put into service, and were met with highly positive feedback from the facilities where the beds with the new key-locking quick-release pin were being used. The key-Locking Ball Lock Pin satisfied all of the rigorous requirements and helped the bed manufacturer to provide the market with a highly desirable solution. Do you have a challenging application? Contact us - We love a challenge!